Junior Bash to Brighton, always a highlight of the year for the Junior section…..
On a blustery Friday night at the end of January 2017 the Juniors once again made the journey down to Truleigh Hill, arriving with enough time for a bit of unpacking and a talk on Jonah and what he learnt about following God, before games around the hostel and night games in the grounds. 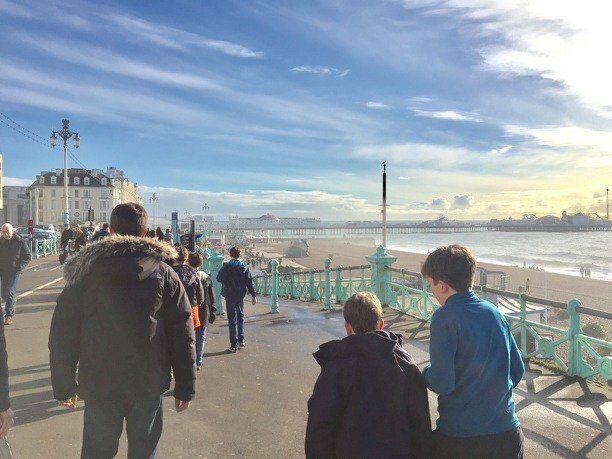 Saturday was the main day out- heading into Brighton promptly (after a hearty breakfast and talk continuing the theme of Bible characters and their faith story, this time Adam and Eve) for laserquest and time on the pier. 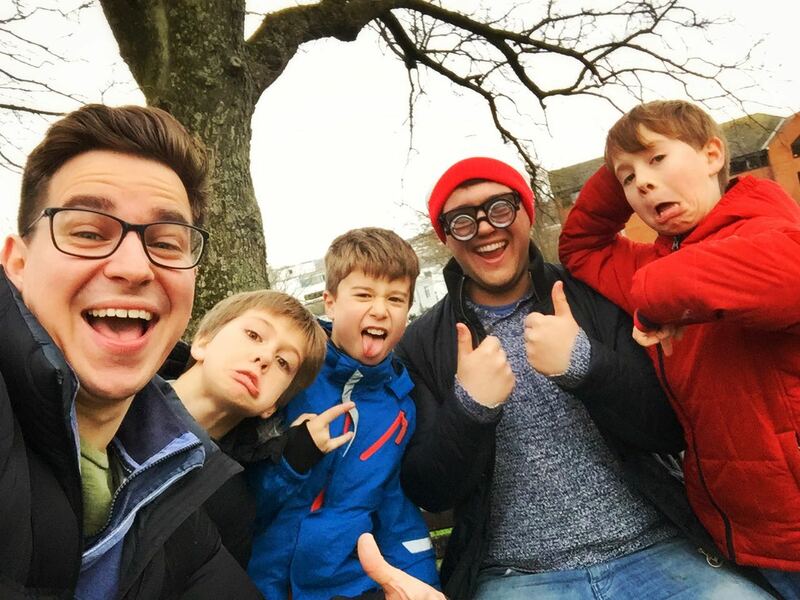 Recharging our energy levels with fish and chips at Harry Ramsden’s we then headed off on a Where’s Wally Challenge around the streets of Brighton. An unknown number of specifically placed Wallys were to be found by the four teams, extending to a much larger number by one team who quickly invested in a Wally hat and glasses of their own (we like this kind of out-of-the-box thinking in the Juniors). At 4pm all teams and (official) Wallys reconvened at the Seafront to reminisce on the fun of the afternoon. The evening was more chilled out: with some time together looking at the story of Moses, and a pile of duvets watched the new BFG film. Sunday dawned beautifully clear and after a talk on Rehab, everyone set off down the hill equipped with trays and much enthusiasm for tray-sliding. As often happens, the sliding was not as successful as hoped but that did not put anyone off, and instead a number of other energetic games got everyone nice and hungry for lunch. Sadly after a little tidying up and packing of bags, the weekend was now drawing to an end and it was back in the buses for the drive back to Guildford.